Actress Sophia Bush attends the 5th Annual ELLE Women in Music Celebration presented by CUSP by Neiman Marcus. Photo – Getty Images for ELLE. Who: Stars like Sophia Bush, Sarah McLachlan, Kat Graham and Stacy Keibler joined Elle’s Editor in Chief and the night’s host — Robbie Myers at the magazine’s 5th Annual Women in Music celebration presented by CUSP by Neiman Marcus. Stacy Keibler showed off her mommy-to-be body in a cut out black dress. Photo – Getty Images for ELLE. What: ELLE celebrated its May “Women in Music” issue with a private concert which featured live performances by GRAMMY Award winning artist Sarah McLachlan, rap’s fiercest new voice Angel Haze, and Australian indie-pop-musician Betty Who. The event also featured a special DJ set by Rumer Willis. Where: Avalon Hollywood in Los Angeles. Editor-in-Chief of ELLE Robbie Myers (L) and recording artist Angel Haze. Photo – Getty Images for ELLE. Notable: Betty Who’s electric performance had the crowd (and biggest supporter Sophia Bush) on their feet and dancing the night away while Sarah McLachlan’s beautiful and authentic take on her greatest hits and songs from her upcoming album left a few goose bumps. Vampire Diaries star Kat Graham went for a bold skirt and blouse combo. Photo – Getty Images for ELLE. Zendaya rocked a plaid suit at the event. Photo – Getty Images for ELLE. Former One Tree Hill Actress Shantel VanSanten was chic in black. Photo – Getty Images for ELLE. Rumer Willis was the DJ for the night. Photo – Getty Images for ELLE. Betty Who performed and had the crowd on their feet. Photo – Getty Images for ELLE. 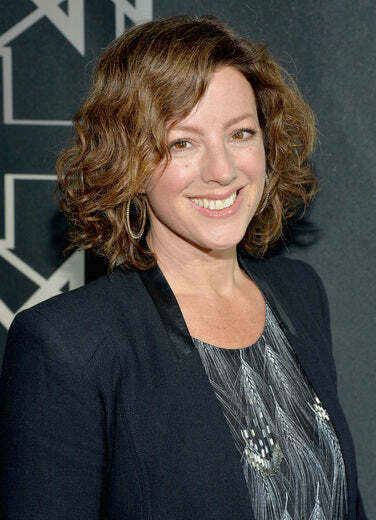 Sarah McLachlan also performed a few hits after her red carpet run. Photo – Getty Images for ELLE. Had a little fun with my BFF and date for the night in the photobooth.